During the week we got series of questions from our blog readers on how to add this wonderful and stylish guest author profile design to your blog guest post and it was really great to see that our team took a decision on the creation of this wonderful post. 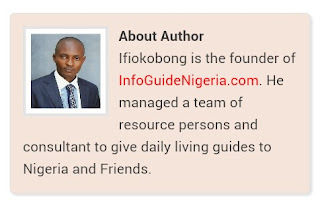 Login to your blogger dashboard and then select your preferred blog which you are being invited to write as an author or if as an admin. 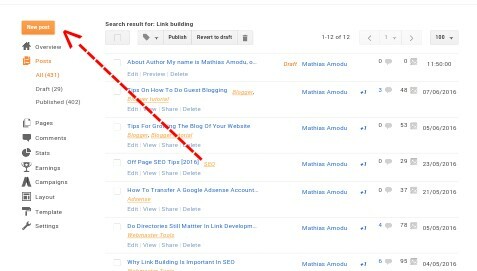 Now click on "New Post" tab which is located at the top left corner of your blog admin panel. 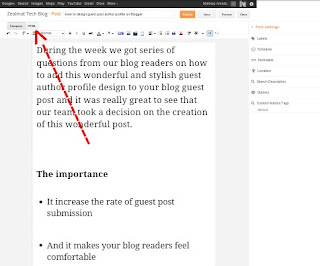 Then on your "Post Editor Page" create your post or paste the guest which you want to publish. Click on the "HTML" button next to the "Compose" button above. Click on the "Publish" button and that's all you need. Very great help bro.. I always love your posts... Checkout this Google Panda Analytics that Kicks your domain for copying. Bloggers need to be careful.